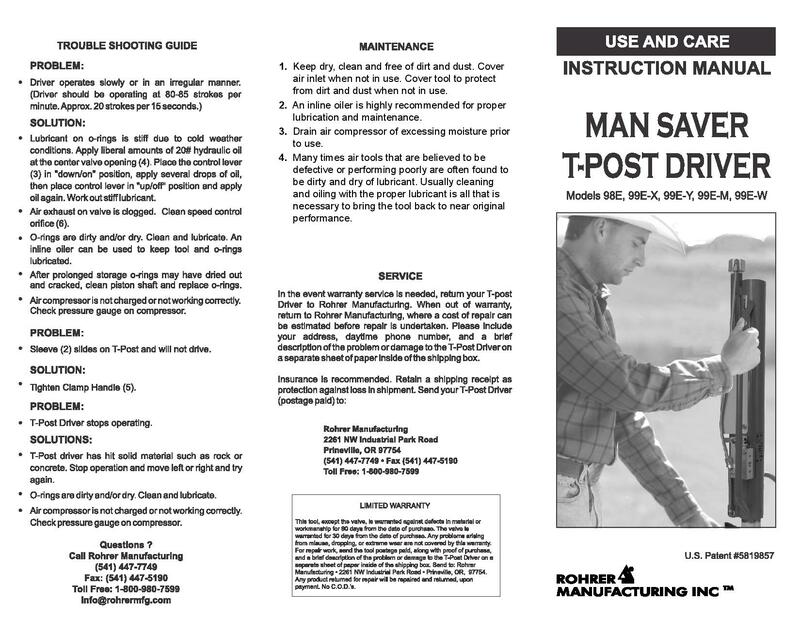 The Man Saver Fence Post Driver is an excellent, affordable alternative to bulky hydraulic or back breaking manual fence post drivers. 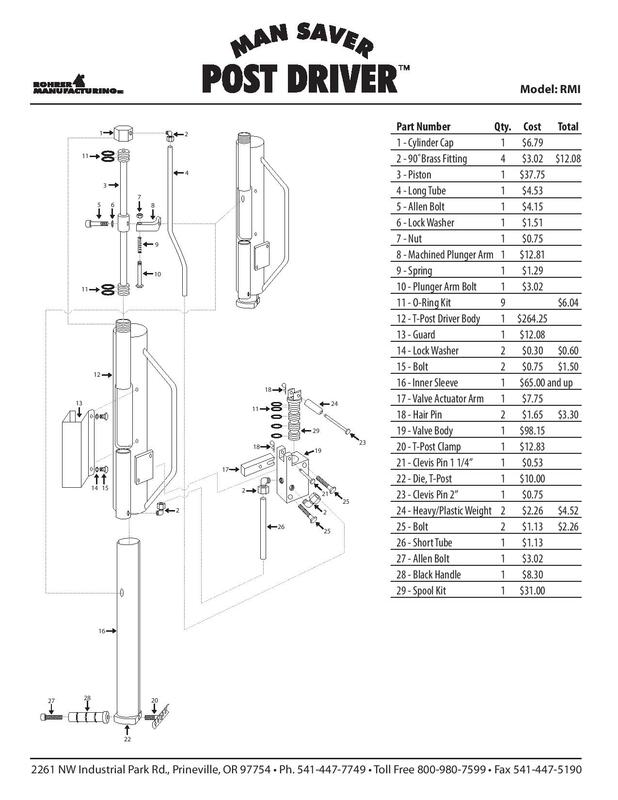 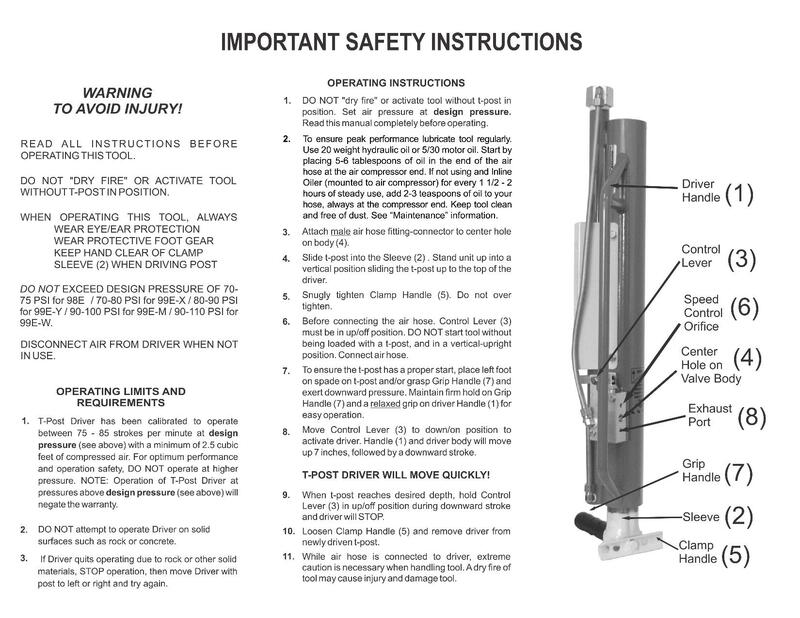 Below are links to our PDF instruction manual and parts lists. 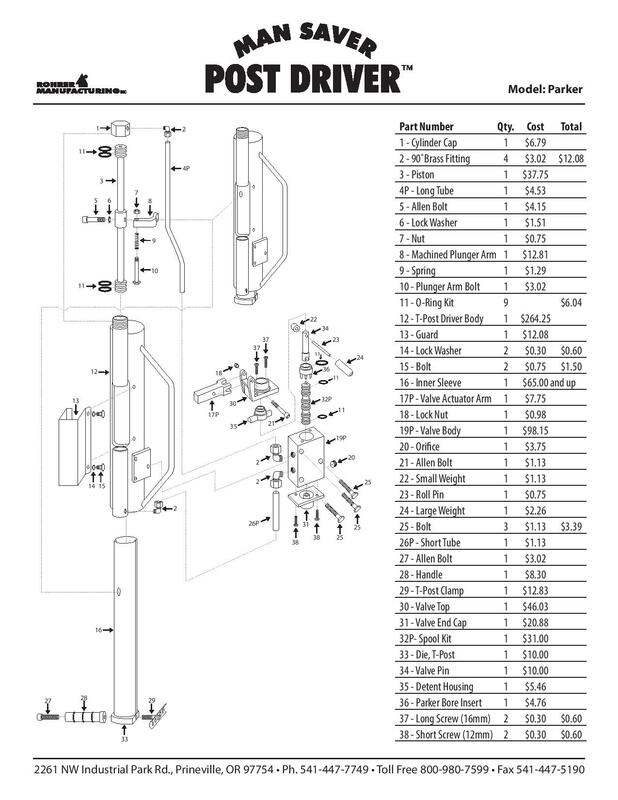 Call us to order parts at 1-800-980-7599.